My Top Three Recipes of the Month – What's for Dinner Moms? Someone recently suggested that at the end of each month I post my top three to five recipes each month because it would make it easier for them to plan out some meals and treats for the following month. I thought that was a brilliant idea so here is my first posting for My Top Recipes of the Month! It seems I wasn’t the only person craving sweets and comfort food this month. Four of my top five recipes were sweets and fried food. The fifth was Spinach, Peach, and Feta Salad. Still yummy! 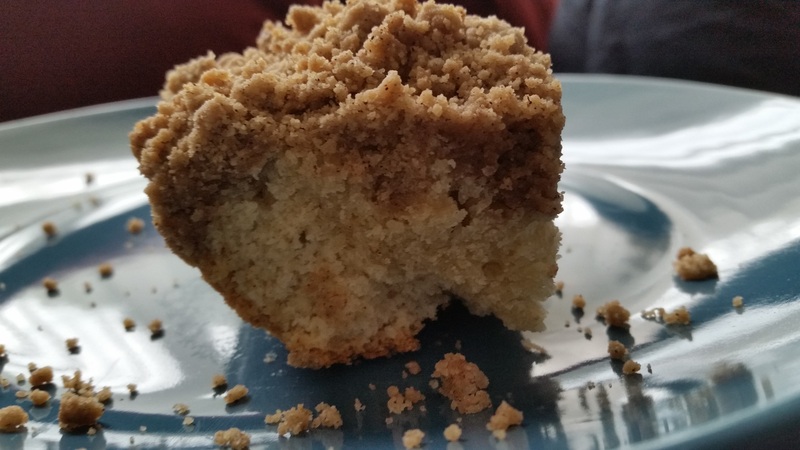 The New York Style Coffee Cake with LOTS of Crumb Topping (click for link to original post) was my number one recipe this month. This buttery cake with 1/2″ to 1″ of crumb topping is delicious. It makes a super weekend breakfast treat or a nice after dinner snack. 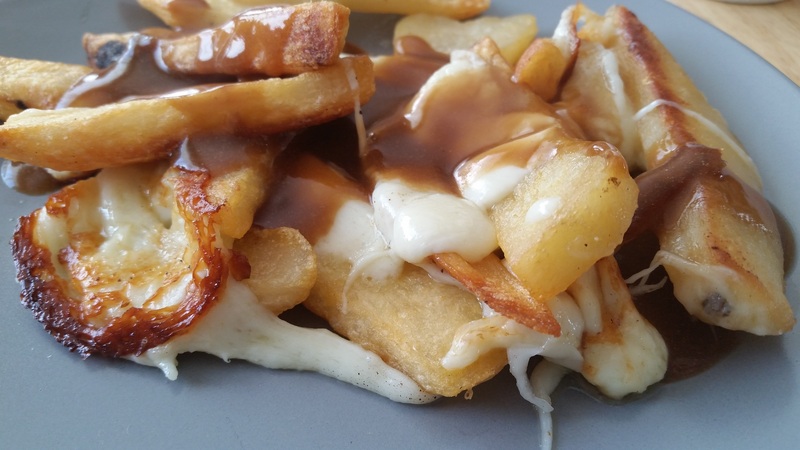 The second most popular post this month was for Simple Comfort Food – Easy Poutine (click for link to recipe). This dish with melting cheese, gravy and french fries screams comfort food. I made this simple, easy, version for busy days when we are looking for quick, simple, comforting dishes. 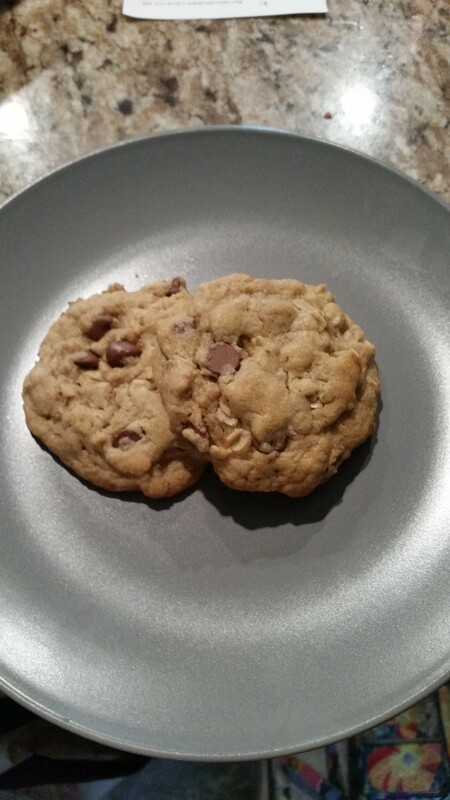 Lastly these DoubleTree Hotel Like Chocolate Chip Cookies (click for link to recipe) were very popular this month. They have a super buttery flavor with milk chocolate chips. The addition of a bit of oatmeal adds another dimension to the cookies. Hope you liked the wrap up for September. I have lots of great ideas for October such as Taco Meatloaf, Butter Chicken, and maybe a few football game appetizers. Hope you’ll be following along! This is a good idea, Marci! I love this idea! I hadn’t heard of poutine until we moved to the Rochester area. It’s huge here!! I know! I think we will try Nick Tahou’s for those!! Definitely! Charlies is good too but not the original. Yes! And garbage plates too. That’s a good idea, Marci!! Thank ypu, Erika! I don’t know why I never thought about a monthly round up. I appreciate it a lot because sometimes I don’t get to see all posts of the blogs I follow and so I have a best of!! Thank you so much! I hope you continue to cook and make each recipe your own creation! My kids love when I experiment with new meals. So thank for making it easier for me. Words cannot express how grateful I am for you help. These sound fantastic! Please check out my first recipe post at mcgeetraveltales.com! Thank you and let me know what you think.